I used the post by Eric Musco again. It explains the amounts of XP bonus you can obtain during these special XP weekends. My understanding of the system is that all of our boosts will multiple from the new base of 200%, so now is the perfect time to get those Legacy perks and XP boosts. I will show you why. Let’s say you planned to level during the March to Makeb entirely through… Flashpoints. Since both of the boosts are being applied to double base XP, they are also doubled. Do you know what that means?! +310% bonus experience! That is over triple the experience. Enjoying your leveling my friends! I took advantage of this last weekend and enjoyed leveling my Imperial Agent Sniper from level 12 to level 30. I did not get to play as much as I wanted, but this helps out getting your alt characters to level cap. The only issue I had was attempting to stay properly geared for my level. Let’s just say my other characters spent time leveling crew skills…I’m glad “labor laws” are not in-game lol. If you didn’t get to take advantage of last weekend’s XP bonus, I strongly urge you to try it this weekend. Even if playing alts is not your thing, this Double XP makes the process less like work and you are able to enjoy the class stories. If you played last weekend, what did you think of the Double XP? Let us know your thoughts on these XP bonus weekends in the comment section below. 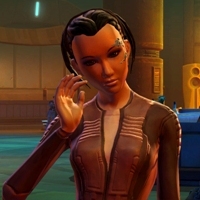 On the official SWTOR website, there is a new Companion 101 blog posted. This blog talks about the Bounty Hunter class companion, Mako. Before we go any further into the blog, be warned that it contains some spoilers…you have been warned. In the blog, they talk about this young woman as a huge fan of the “Great Hunt.” Not only is she a fan, she knows all about the past winners…Mako would be consider a super-fan of this Bounty Hunter event. She is spunky, willing to do a job if the credits are good, but she still remains loyal and deep down is good at heart. For more on Mako, be sure to read the latest Companion 101 blog. It also contains images of the various customizations found in the game for Mako. If you have played the Bounty Hunter class, what did you think of Mako as a companion? Tell us your opinions about this SWTOR companion in the comment section below. Below is a video created by Youtube user HunterFireFlower. It utilizes various cutscenes in many of the different class stories all set to the Breaking Benjamin song “Blow me Away.” HunterFireFlower does a great job of using some creative editing tools, effects and even text to create a very cool music video. Be sure to leave your comments on the video creator’s channel and also let us know what you think in our comment section below. If you have created a SWTOR inspired video, whether it is a music video like the one above or maybe something completely different feel free to send us a link, and your creation just might be featured in an upcoming HoloNet Links article on Corellian Run Radio. Just email your links to jason@corellianrun.com or corellianrun@gmail.com. I wanted to pop in and give an update on a few minor changes coming to the Cartel Market Reputation system. I know these things will not address all of your concerns but as always, keep your feedback coming. We are continuing to look at ways to improve the system. Coming in Game Update 1.7.3 Cartel Market Certificates will now be bind on legacy (as with any other timing announcement this is subject to change). We feel that a frustration point for some players is that the Contraband Resale Corporation is that it appears too tightly tied to the rest of the Organizations you see in the Reputation system. Sometime in the future, (no exact timing yet) we are going to move all Cartel Market Reputations to their own tab within the Legacy UI. As always, keep the feedback coming. We are constantly exploring new ways to improve on the Cartel Market Reputation system. I commend members of the community for their constructive suggestions. 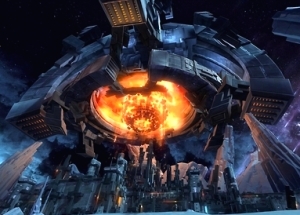 BioWare is listening and it seems they will be making some changes to the current system for reputation with the Contraband Resale Corporation. They are also making the Cartel certificates bind to Legacy. This is another good change that does not take away from the new system, but also allows the player to utilize the certificates as they wish within their Legacy. I wanted to give you all an update on this now that I have all of the information in place. First, we are not considering this an exploit so anyone who had fear of action being taken against their characters, etc, should not be afraid. We will not be doing anything to players who used the Ilum pylons to get to 50. I will say that player ingenuity never ceases to amaze us all. This was not a part of the intended design of the Gree event running simultaneous to the Double XP Weekends. Due to this, we are going to be having a maintenance later this week to deploy a fix to this issue. I wanted to talk a bit about the fix itself since it will mix up things on Ilum temporarily. Our immediate fix to this issue is that for the time being, we are going to disable bolster on Ilum. This will have a couple of different affects. Low level characters will no longer be treated as level 50 in regards to experience. They will now have the normal experience penalties associated to grouping with a player of a higher level. Meaning those players will now gain little to no experience when grouped. Players who are levels 45-49 will have a slightly harder time completing some Gree event quests as they are no longer bolstered to level 50. I want to again reiterate that this is only a temporary solution. We are continuing to investigate the issue and intend to have a more permanent solution in place before the Gree event returns. Looks like there will be changes coming to the Gree Event region of Ilum before this next Double XP Weekend. The bolster system will be done away with for the remaining time of the Gree Event. When the new maintenance goes through, low level players will not have raised health when entering the event area, as in the past. This means, as Eric states, levels 45-49 will have a bit tougher time with missions and probably need to group up with other players to complete quests. Honesty, this was a non-issue folks. Yes, low level players could get to the Gree Event area and group with other players to help kill mobs while gaining more XP. Here is why I feel it was a non-issue, one the players could not actually get or complete any of the Gree Event missions, so they were not gaining reputation for their Legacy. Next, the idea they were getting more XP and leveling faster is a crazy argument…the whole idea behind the Double XP Weekends is to help players level to 50 faster and be ready for the new expansion coming, Rise of the Hutt Cartel. Personally, I think this will hurt these players in playing their class correctly. It is easy to run through your class story quests, planet quests when you are over leveled, but when you reach level 50 the mobs are at your same level, so in the long term they might reach level 50 faster, but then what? They still are at level cap till it is raised and now they have to go back and do all their class quests. So, now you know how I feel about it, what are your thoughts on this issue and how BioWare is handling it? Let us know your opinions in the comment section below. Drew and Carla are back this week with Episode 91: Return of the Gree podcast. Listen to them talk about the Gree event, artwork associated with Makeb, in-depth discussion of new abilities for classes from PTS and of course plenty of humor. Be sure as you read through our writers’ articles and listen to the podcast, that you take a moment and submit your feedback and suggestions in the comment sections. We love to hear from you. Thanks and enjoy the links below. Would you like to write an article or produce a video guide or maybe you have another idea all together and want to have it seen on Corellian Run Radio. If you would like to help out please send us an email with your idea and a small writing sample to explain your skills and why you want to help out at Corellian Run Radio. Submit your ideas, a bit about yourself and a small writing sample to us at corellianrun@gmail.com. Want to have your server event or guild highlighted on CRR website? Do you have a server event or guild you would like to have mentioned or highlighted? Please send us an email at corellianrun@gmail.com or email me at jason@corellianrun.com. In the emails, please include the details for the event and/or guild, any possible links where people can sign up or get out more information. We would love to highlight your event or guild on Community Checkpoint! Are you burnout in Gaming? Have you felt playing a game, be it SWTOR or any other one, that it was more like a burden or almost like a job to login? Our very own, Drew aka Geldarion has written a great article on his blog site, The Fanatical Swordsman about this issue. He offers some things that have worked for him…from trying other games, to maybe trying to play SWTOR in a different way, like in an all Trooper class guild to run Operations. He gives other ideas for avoiding burnout. Are there some things you do to keep your gaming experience rewarding? Let us know how you “spice up” your game time in our comment section below. Please be sure to check out Geldarion’s blog for this article and others. That’s it for this week’s HoloNet Links. 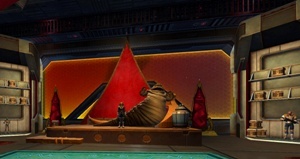 If you have a particular link, story, video, or topic related to SWTOR we would love to hear about it! You can send those to us here at Corellian Run Radio and we can place it in a future article. Just email us the links and/or the details for the event at corellianrun@gmail.com, or you can also leave any link suggestions in the comments below, or in Corellian Run Radio’s Facebook group. Thanks and see you all next week!